You know what,make up is clogging our pores and will cause us blackhead and pimples. I started to putting on make up when i was 15. THE WORST PART IS.... i didn't know that i have to remove make up in a proper ways. I used wet tissue to wipe it off and a normal foam cleanser to clean my face only! * BIGGEST MISTAKE EVER* Till the day i saw my friend removing her make up with Shu Uemura cleansing oil,then only i started to remove my make up in a right way! HAHAHAHAHA forgive me .I'm lack of knowledge. 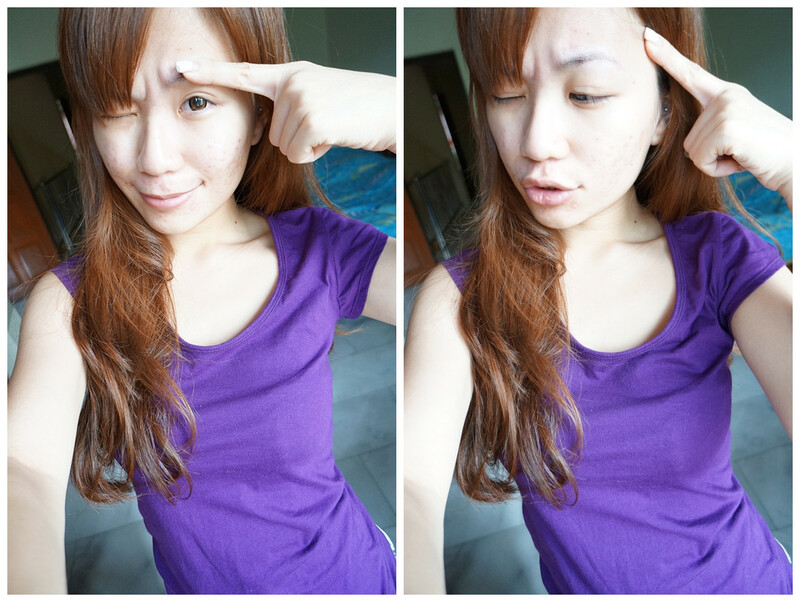 I think that's one of reason why my face become that worst ! Here's the skin care that i adore.Cleansing is IMPORTANT,never leave your face with make up before you go to bed. Even if you are putting zero make up on your face,you still HAVE TO clean it with milk cleanser. 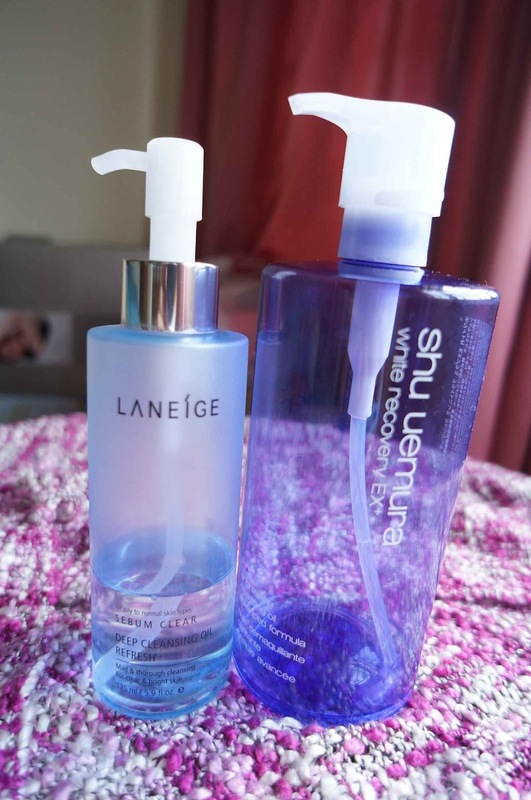 I'm using ShuUemura cleansing oil previously. Changed to Laneige after i finish the whole bottle. But i still thinking Shu Uemura is better,will buy a new one after this. After the cleaning part, here comes my daily skin care products. Price is not the problem if it is efficient but It's really hard to find a suitable one. Someone recommend CELLNIQUE to me and i found it quite suitable for my skin,so i continue using it. 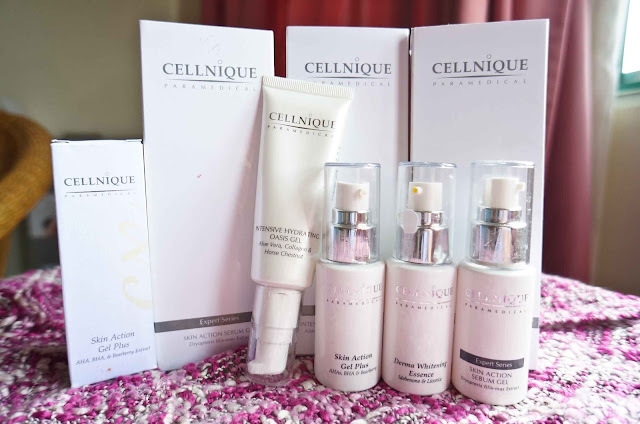 The sebum gel is really powerful. It helps to soften the pore so that the blackhead can come out easily after 7-10days using the products. The Whitening essence is to balance the uneven skin tone and lighten the scars. Just started to use it for a week. The left one is for hydrating,nothing special. And another one is for pimples,i didn't use it anymore cause it's all heal. Just scars i need to take care of. LOL! I'm a big fans of ORIGINS last time,Brought all their mask. But doesn't help a lot on my problem skin. I will do mask few times a week,cause i did not drink much water. My skin is really dry most of the time. 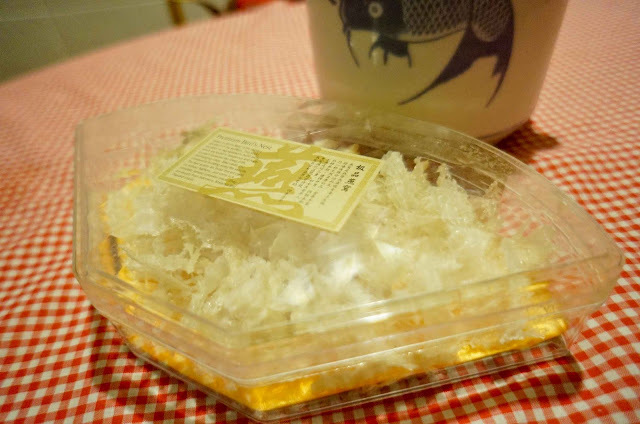 And i found this Bio-cellulose mask is really really useful,but it is quite cosy. It's different from the others mask i've used,This enhance the absorption of essences effectively. 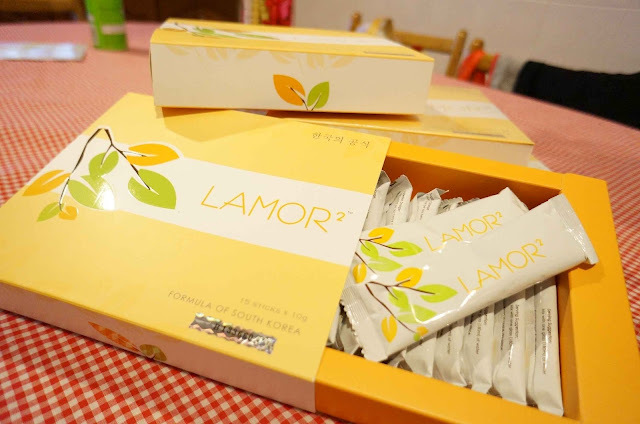 Lamor is rich with Hyaluronic-acid,collagen,Vitamin C and Silk Amino Acid. 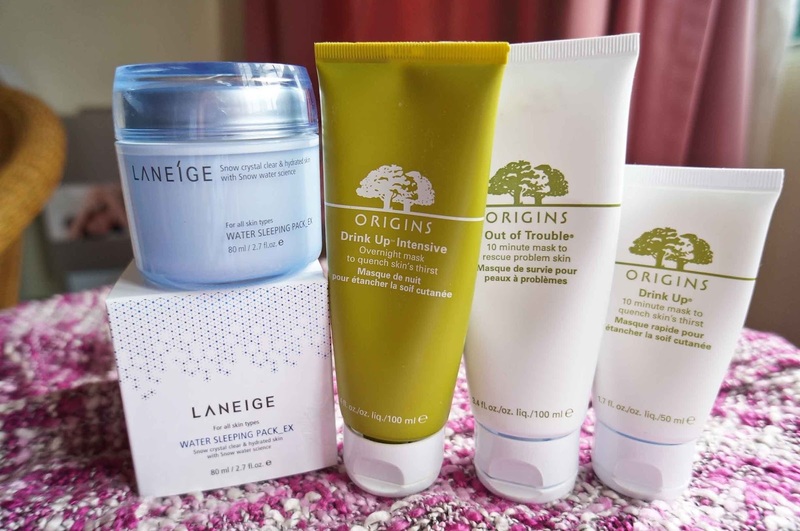 All these can helps to rehydrate our skin,restore skin elasticity,wound healing,life sagging skin and ligten dark spots. All of us love flawless skin,so don't be lazy! If not you will regret like me. Just to share : try avoid air conditioned room , at least not to be that frequent.